Amazon smartphone rumor: a free phone with no contract? 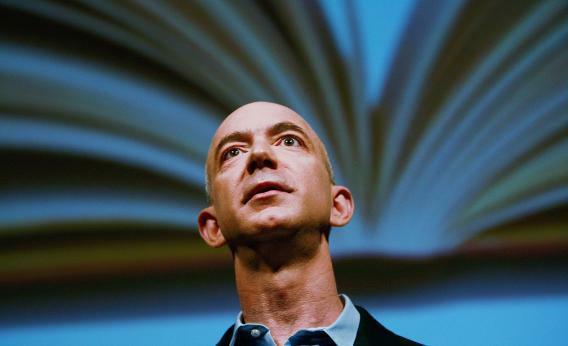 Jeff Bezos: the “Crazy Eddie” of the tech world? Here’s one way to steal Apple’s thunder. I second that skepticism. It’s one thing to “consider” giving away smartphones and quite another to actually give away smartphones. But it’s tantalizing to imagine, and if anyone company could do it, Amazon would be a leading candidate. The company’s hardware strategy has been to use devices as loss leaders for Amazon’s retail business. Actually, you could argue that Amazon’s entire business is basically a loss leader for itself. Recall, though, that there were also rumors at one point that Facebook might give away smartphones as a loss leader for its business of harvesting users’ data. In fact, the “Facebook phone” launched with a price of $99. After it flopped, the price was cut to just 99 cents with a contract, but HTC found it could barely give the thing away. Of course if Amazon handed out phones with no strings attached at all, they’d be gone in a jiffy. But the Facebook phone fiasco suggests that even the barest financial obligations may be enough to scare a lot of consumers away from a phone that they wouldn’t be inclined to buy otherwise. So unless Amazon really is going to just start shipping scot-free phones until it runs out of them, the lesson is that the hardware itself is going to have to hold some appeal for customers in order to catch on.